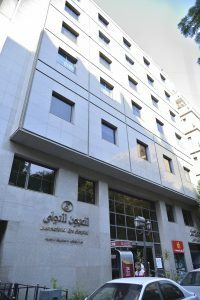 The Hospital administrative offices and research facilities were completed in 1995 including outpatient clinics, all in-patient services, operation rooms, laboratories, clinical pharmacy and supporting services. International Eye Hospital is licensed for 72 beds (divided on 6 branches). The hospital has a renowned position in the field of eye surgery specially after being awarded the ISO (9001:2000) and due to the continuing efforts of our staff of established doctors and highly qualified nursing team and the application of the latest equipment this qualified the hospital in 2015 to receive the JCI accreditation. 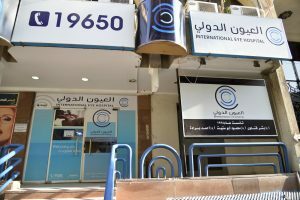 First ever specialized kids eye hospital in Egypt and the Middle East Region. 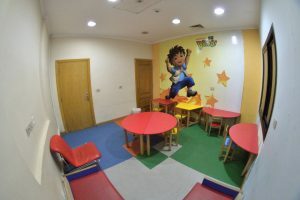 In addition to offering high quality specialized medical service the kids hospital offer a child friendly environment with a play ground and kids waiting areas.